Divisive ideas about the place of Muslims in the West are "threatening social cohesion"
Most disturbingly, they “promote a worldview that significantly overlaps with that of a proscribed Islamist extremist organisation, Al-Muhajiroun” - a banned group which does espouse violence. 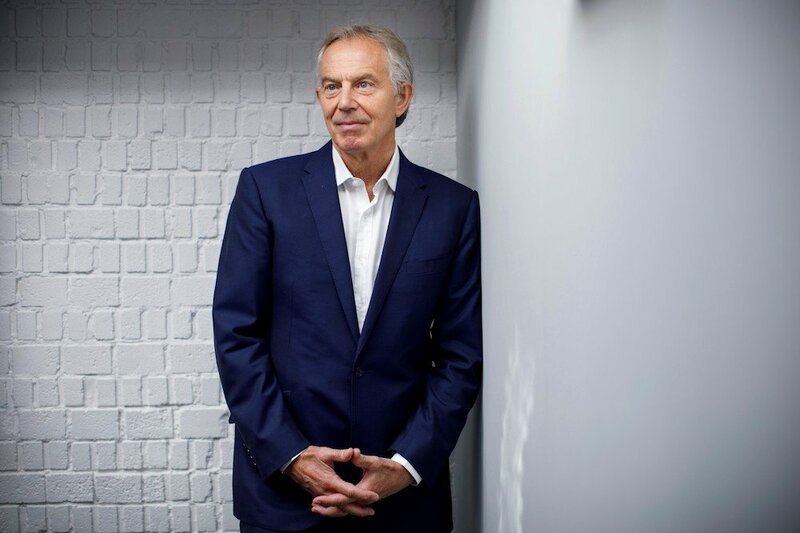 The allegations appear in a report from the Tony Blair Institute for Global Change - the think tank Blair founded after leaving office - and names four groups: CAGE, Hizb ut-Tahrir Britain, the Muslim Public Affairs Committee UK and Islamic Human Rights Commission. The report identifies six “key themes” shared by all four groups: Victimization, opposition between “good” and “bad” Muslims, opposition between Islam and the West, a delegitimization of the government, making Islam central to national politics and justification of violence. “There is a range of views on these six themes, with differing degrees of severity from mainstream to extreme,” the report says. Of the four, Hizb ut-Tahrir comes close to sharing Al-Muhajiroun’s stance on violence. Banned since 2000, Al-Muhajiroun notoriously dubbed those behind the Sept. 11 attacks “the Magnificent 19” and several of the group’s adherents have perpetrated other atrocities. The report warns that such a “corrosive narrative” promoting divisiveness between Muslims and non-Muslims can only embolden the far right and calls on the UK government to establish “a working definition of extremism” by identifying the key ideas that would “flag up” potential danger. “Divisive ideas about the place of Muslims in the West are threatening social cohesion in Britain today,” said the former prime minister, who went on to serve as a special Middle East envoy. The result, he said, was a “skewed discourse” in which fringe views dominate because moderate voices are afraid to speak out. Blair also accused UK politicians of giving up on the discussion. “Many Muslims in the UK hear more from divisive groups about how there is a security state set up to oppress them than they hear from our national leaders about how communities and policymakers can work together to build a thriving, inclusive Britain,” he said. The Home Office (interior ministry) of the UK government describes Hizb ut-Tahrir as a “radical, but to date non-violent Islamist group” that “holds anti-semitic, anti-western and homophobic views.” Almost all the articles on the Hizb ut-Tahrir website portray Muslims as oppressed and bullied. Some articles are clearly anti-Saudi in tone and content. The British-born Daesh extremist Mohammed Emwazi, nicknamed Jihadi John, who was filmed beheading hostages had been in contact with CAGE while in the UK, complaining that he was being harassed by British intelligence agencies. The Muslim Public Affairs Committee UK encourages tactical voting in elections to dislodge members of parliament who support policies which it considers not be in Muslims’ interest. In 2005, the MPACUK targeted Lorna Fitzsimmons, a Labour MP for Rochdale, a town in north-west England with a large Muslim population, printing leaflets that claimed she had done nothing to help the Palestinian cause because she was Jewish. She is not and the group later apologized. Former home secretary Jack Straw, whose parliamentary seat in Blackburn also has a large Muslim population, called the group “egregious” after it campaigned for Muslims to oust him. Arab News asked the three other UK groups to comment on the report but none of them responded.